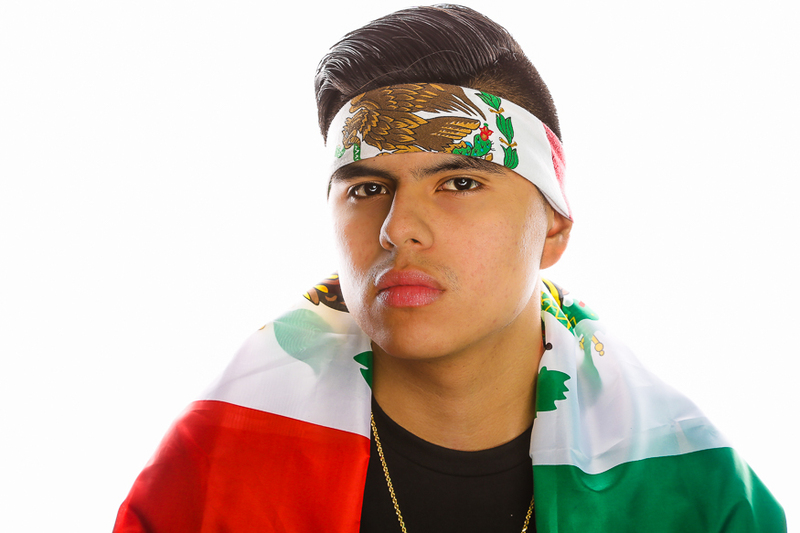 Aurelio Valdez is a Mexican-American Seattle born Hip Hop artist with a potent style. With a range of topics spanning from politics and history to identity and his upbringing, Aurelio’s music focuses on what it means to truly embody Hip Hop culture by empowering himself and his people. Influenced heavily from those who pioneered the culture such as Nas, 2pac, and KRS One, his alluring lyrics provoke thought and reveal his love for Hip Hop culture with every track. As an nineteen year old self taught writer and vocalist, Aurelio has performed at venues all over Seattle, including the Sky Church at MoPop and Northwest Folklife Festival. His debut EP “Aguila” has gained a lot of traction in the Seattle area. Alongside his artistry he is an ongoing activist heavily involved as one of the youngest Board of Directors for Arts Corps, a nonprofit organization aimed to revolutionize arts education by igniting the creative power of young people through culturally engaging learning experiences located in West Seattle. Aurelio has also been involved with Amplifier, a nationwide organization dedicated to emphasis social movements through art; he even had the amazing opportunity to lead March For Our Lives under Amplifier in Seattle. Aurelio is also a program director and teaching artist for Northwest Folklife; in charge of Proxima Generación, a residency dedicated to Latino youth of the Seattle area to focus on empowerment and activism. Aurelio is currently a undergrad student at Seattle Pacific University pursuing a bachelor’s degree in both Political Science and Sociology. He’s also taken on the important task of being Social Justice Director and Intercultural Coordinator for 2018-2019 school year.